Birds are very beautiful creatures but also very demanding. Take care of your pet bird. 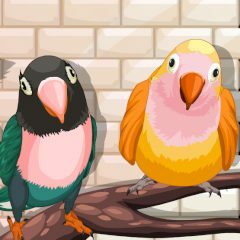 If you are responsible enough, in next levels you will be able to make your life more colourful with the help of several more bright feathered friends!